Why not rent “The Lodge” at Spring Farm Alpacas. We have converted one of our outbuildings (it was originally a tack room and field shelter!) 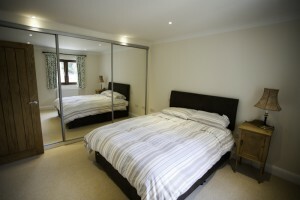 into a stunning one bedroom holiday let offering luxury self catering. 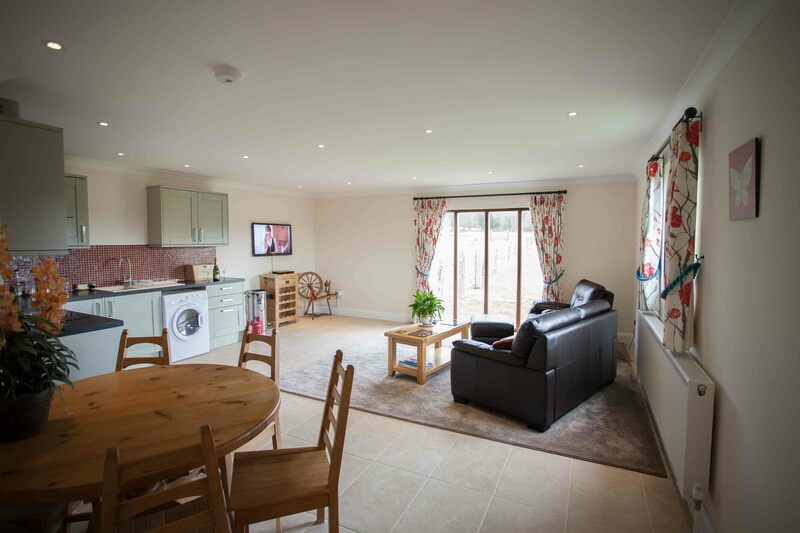 The Lodge is fully insulated with double glazing throughout. A room with a different view! The Lodge is fully equipped with a separate double bedroom with a king size bed. In the sitting room / kitchen, the facilities include a modern fitted kitchen, single sofa bed, flat screen TV with Freeview, Blu-ray / DVD and Wi-Fi. Tastefully decorated and centrally heated, The Lodge is perfect for peace and tranquillity whilst maintaining every creature comfort. There is even a private patio outside with seating and a table to enjoy the view (including our alpacas depending on which fields they are in!). The patio with a view! The Lodge has a separate shower room / toilet with modern facilities. There is adjacent off street parking for cars and The Lodge is reached by its own drive. 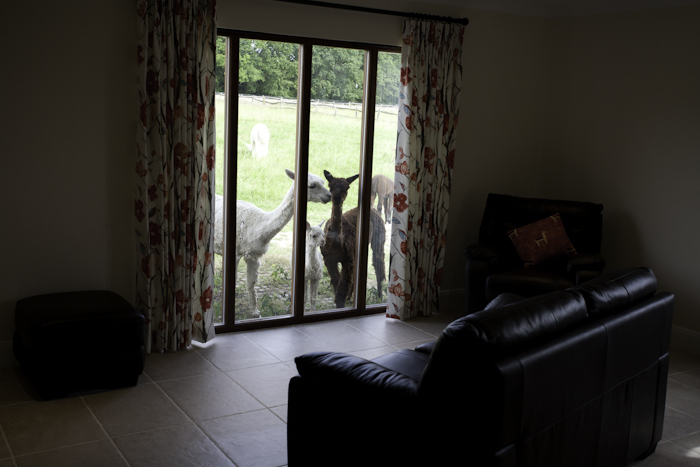 Staying at The Lodge puts you in the middle of a working alpaca farm. 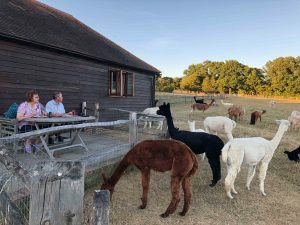 Spring Farm is in the high Weald AONB (Area of Outstanding Natural Beauty) and is within easy walking distance of the historic village of Fletching and its two pubs (including the renowned Griffin Inn). There is a public footpath from our farm gate, across the fields, that comes out at the top of Fletching village and 100 yards from the pubs! Might be an idea to bring wellies in the Winter – just saying! Not just cute – amazing fleece as well!